Justin Hannah's "Consignment" now playing on HULU and HULU PLUS! 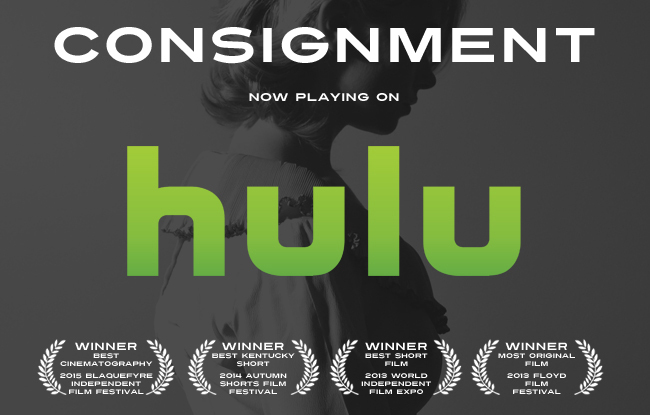 Wonderful news - now through June 30, Justin Hannah's award-winning short film "Consignment" is available for instant streaming on Hulu and Hulu Plus! Both Hulu Plus subscribers and non-subscribers can watch the film for free; non-subscribers will see a few ads during the course of the film. Note: As of July 1, 2015, "Consignment" is no longer available for instant streaming through Hulu or Hulu Plus. It is still available via Amazon Instant Video, Vimeo On Demand, and IndieFlix. Justin Hannah's "Consignment" is now available for instant streaming on Amazon Instant Video, Vimeo On Demand, and IndieFlix.